Okay let’s talk about breakfast sammies. For starters, they are AMAZING. They are EASY to throw together. 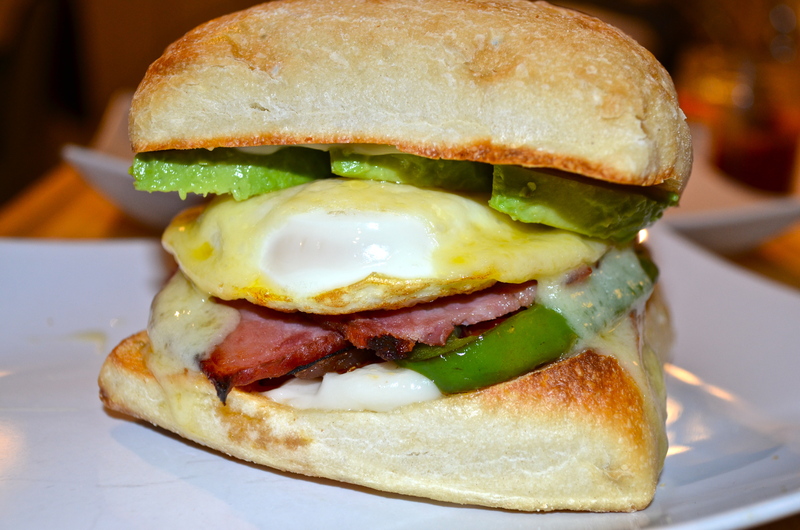 You do NOT need to pay a small fortune to make a damn delicious breakfast sammy at home. 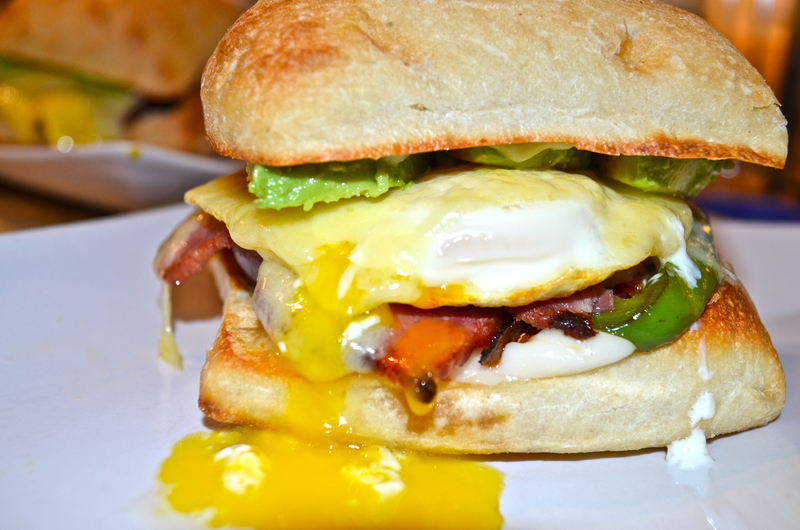 Are you sold on the idea of re-creating some of your favorite breakfast sandwiches at home? The recipe I have below is for my ideal breakfast sandwich. Obviously everyone has different must-haves and that is the great thing about this breakfast dish you can customize it to different people’s palettes or to whatever you scrounge up in the refrigerator. To make the ultimate breakfast sandwich you have to start with a great foundation—the bread. I cannot get enough of rustic bread so I tend to grab ciabatta rolls. Next is the secret to my sammy, are you ready for this? After I toast the bread in the oven, I rub a garlic clove into the crust. The garlic melts into the mayo you smother on top and forms a garlic aioli –type flavor and really boosts this sandwich to a different level. You are welcome in advance for this life-changing foodie tip. Then it comes down to the fixins’ –I have a LOVE-LOVE relationship with bacon and avocado. Any salad or sandwich can and SHOULD have bacon, cheese, and avocado on it. No questions from my official taste-tester on this matter either. Andrew would love me more if I was a human avocado (sorry for the weird visual). I also like to sauté up whatever veggies I have on hand (peppers and onions are a must) and serve my eggs over-easy, but you can make them however you prefer. Seriously, I don’t even know why you’re still reading this post. 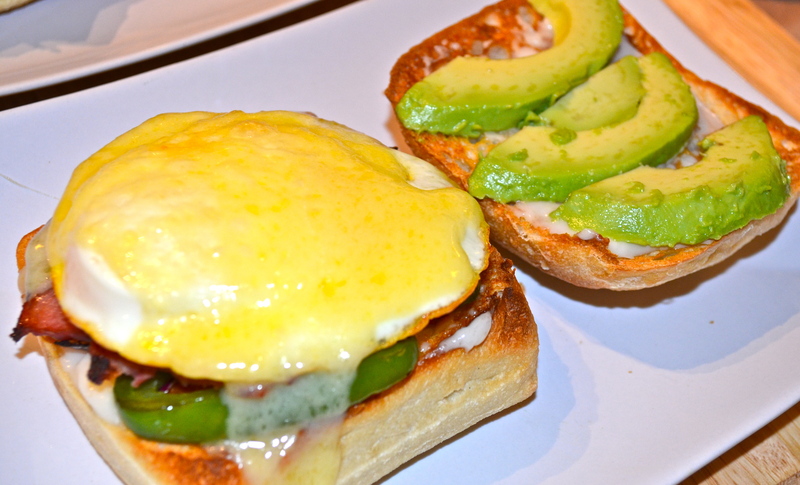 Go make the ULTIMATE breakfast sammy and start or end your day on a high note. Yep, I am an advocate of brinner (breakfast for dinner for you folks that have not tried it yet). Preheat your oven onto the low broil setting. In a medium-size sauté pan, over medium-high cook the bacon as directed on the package. Remove bacon from the pan onto plate lined with paper towel. In the same pan, sauté onion and pepper in bacon fat until onion is translucent (~3-5 minutes). Set the veggies aside. Slice the ciabatta rolls in half, length-wise. Place them face up in the oven (directly on the rack). Bake until golden brown (~3 minutes). 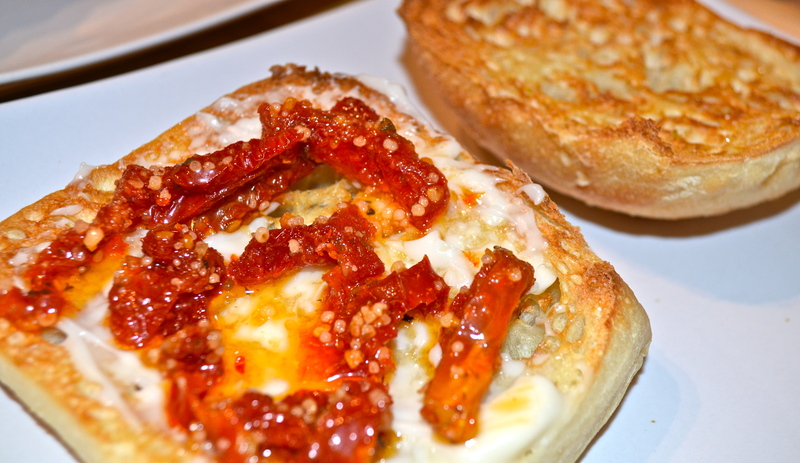 While the ciabatta is toasting, in a small non-stick pan or omelet pan, over medium heat, crack your eggs. (Note: if you are not comfortable cracking the egg directly into the pan, you can crack it over a flat plate and then slide the egg into the pan). Remove the bread from the oven, rub the garlic on the inside face of each roll. To assemble the sammy: spread mayonnaise on the inside face of each roll, spoon sun-dried tomatoes onto one half of each roll, add sauteed veggies on top of tomatoes, then add piece of bacon, add egg, and top with slice of cheese. To the other ciabatta roll half spread avocado. Place the halves with the egg and cheese back in the oven (high broil setting) on a baking sheet until the cheese melts (~2 minutes). Remove the open-faced sammy from the oven and top with the other half of roll, containing avocado. ENJOY this yummy toasted, eggy perfection. The Perfect Hard Boiled Egg. Every Time.